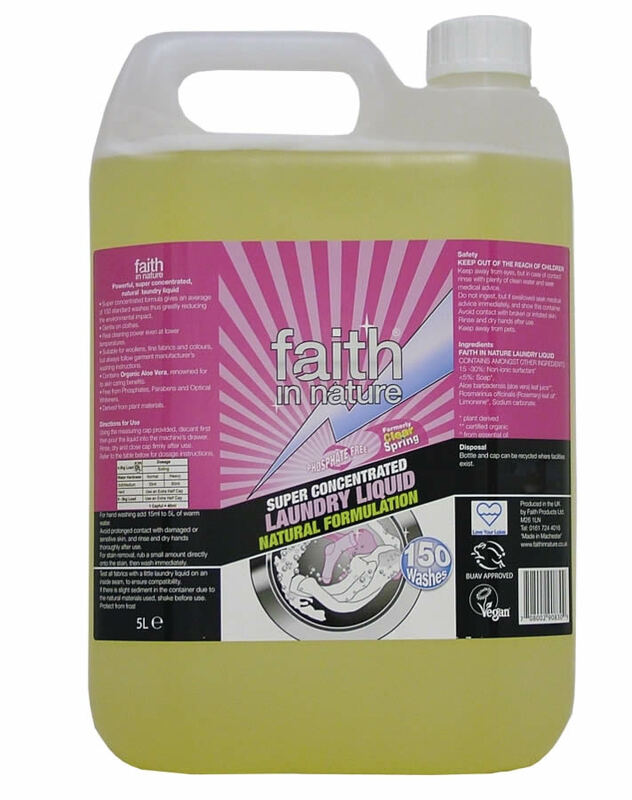 Faith in Nature Superconcentrated Laundry Liquid in a 1 litre bottle. Super concentrated formula gives an average of 30 standard washes thus greatly reducing the environmental impact. Gentle on clothes. Real cleaning power even at lower temperatures. Suitable for woolens fine fabrics and colurs but always follow garment manufacturer's washing instructions. Contains Organic Aloe Vera reknowned for its skin caring benefits. Free from Phosphates Parabens and Optical Whiteners. Derived from plant materials. Using the measuring cap provided pour the liquid into the machine's drawer. Rinse dry and close cap firmly after use. For hand washing add 15ml to 5L of warm water. Avoid prolonged contact with sensitive skin and rinse and dry hands thoroughly after use. For stain removal rub a small amount directly onto the stain then wash immediately. Test all fabrics with a little laundry liquid on an inside seam to ensure compatability. If there is a slight sediment in the container due to the natural materials used shake before use. Protect from frost. 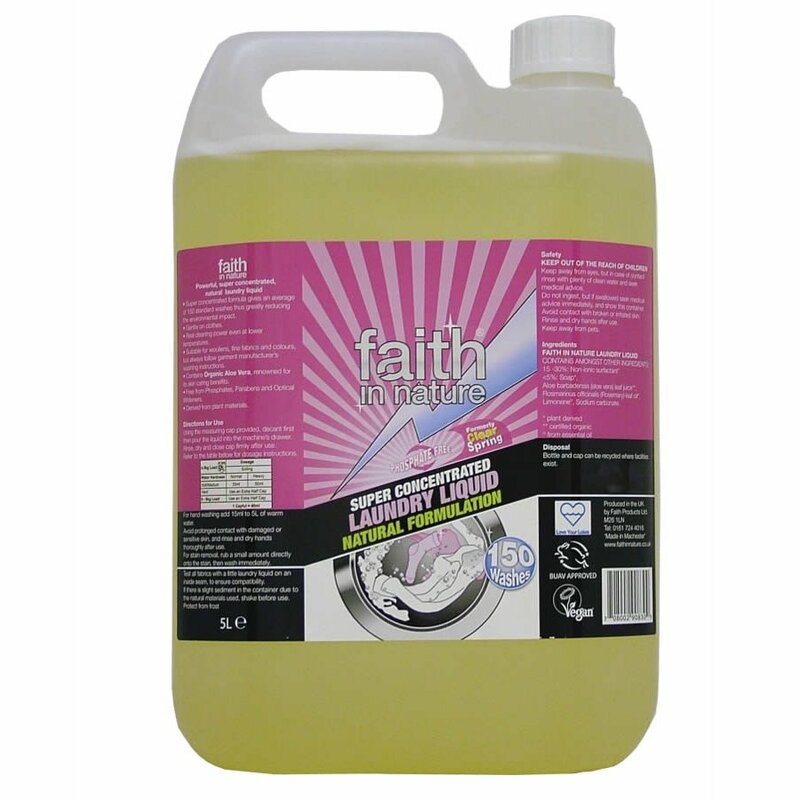 There are currently no questions to display about Faith in Nature Non-Bio Superconcentrated Laundry Liquid - 5 litre.